Two members of the Wits Senior Executive Team (SET) have indicated that they do not intend to renew their contracts which will be coming to an end between December 2017 and late 2018. This is according to a communique released last week by the chairperson of the Wits Council, Randall Carolissen. 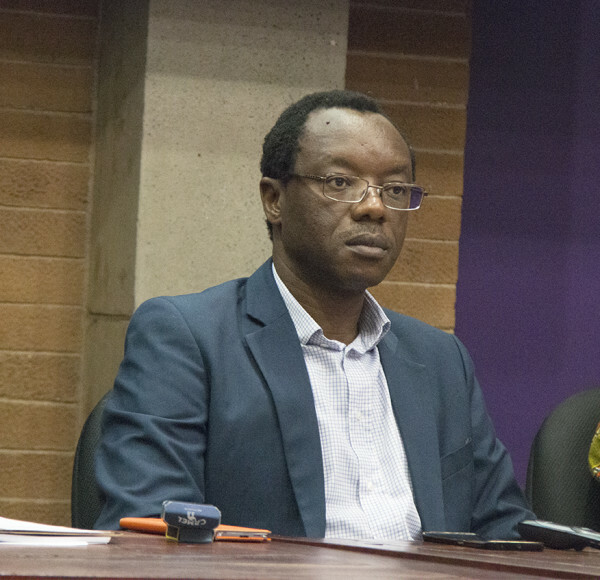 Deputy Vice Chancellor Professor Tawana Kupe will not be seeking a second term when his contract expires in December. The Dean of Science, Professor Helder Marques, will step down from his position in June 2018, earlier than the end date of September 2018. Vice Chancellor Prof Adam Habib, whose contract expires in February 2018, is reportedly interested in a second term. As is Deputy Vice Chancellor Prof Andrew Crouch, whose contract expires in April 2018. According to Carolissen, the university’s policies require that the intention to seek a contract extension or renewal must happen at least 12 months before the contract expires. A formal process is underway by the council, looking into whether it is willing to offer a renewal or accept termination of contracts of these members of SET. In an email response to Wits Vuvuzela, Carolissen said that, “It is inappropriate for the Vice Chancellor and Principal to speak to the process for consideration of a second term, especially since this process has formally begun.” According to Carolissen, Prof Habib seems to show an interest in a second and final term. “Professor Habib has in principle agreed to be considered for a second term, should this be desirable to the university community, and that process of consultation is currently underway. In line with the university’s policies and procedures, I will endeavour to meet with the various Wits constituencies to garner the views of members of the Wits community,” said Carolissen. Prof Habib said DVC Kupe had been asked to consider a second term but he had indicated that he had been in an administrative role for over 15 years now and would like to return to an academic role. “I was disappointed at his decision but will respect his wishes. He has done superbly during his term under very difficult conditions,” says Prof Habib. DVC Couch, according to Carolissen, has indicated an interest in a second term but only for a three-year contract. The Human Resource Division has drawn up plans to consult the university community on the renewal or termination of the four management positions from February 28 to April 7, 2017, when the university Council will make a final decision. The SET is appointed on a minimum three-year or a maximum five-year contract. Executives can also seek a second and final contract, which is not less than three years and not more than five years.